Last year, The Posh Shed Company added a new dimension to its product range with the introduction of the Tin Hat sheds, designed to appeal to those seeking a traditional shed – solid, yet understated in appearance and built to a standard which will guarantee years of practical service. The range proved to be incredibly popular and has subsequently now been expanded to welcome a smaller store to the Tin Hat family. The new store forms part of the Back Door Store range of compact yet stylish and practical storage solutions, designed to be easily placed near the home for ease access to everyday outdoor items. The store features a decking floor that is raised slightly from the ground, allowing air to flow underneath. It is made from pressure treated timber and finished off with a curved galvanised steel roof that complements the rest of the Tin Hat range. In addition, the solid doors have galvanised hinges and a pad bolt that can be secured with a padlock for extra security. 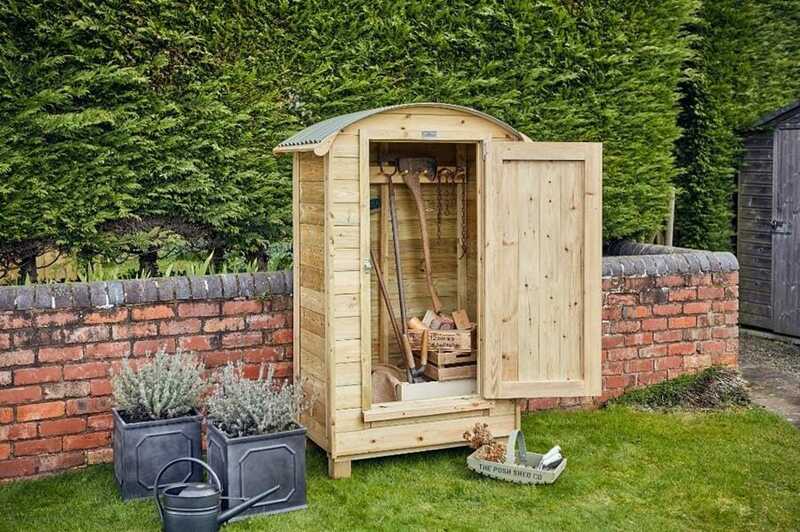 Measuring 4ft wide, 2ft 8inches deep and 6ft 3inches high, the compact store fits neatly into any garden and is designed for self-installation. Like all Posh Shed products, the Tin Hat store has been endorsed by the Royal Horticultural Society (the RHS), a recognition only given to the very best products. For further information about The Posh Shed Company and its range of wooden sheds and garden accessories please visit www.theposhshedcompany.co.uk or call 01544 387101. Dreaming of a Posh Christmas?